There is a new fad sweeping the youth [the Millennial’s] and they play until the last man is standing. The new fad, known as “Russian Roulette,” is not played with guns, but is doing more internal damage than ever seen. The bodily harm encountered is astronomical. I found from a youth close to the scene of many college and young campuses that were playing Russian roulette. 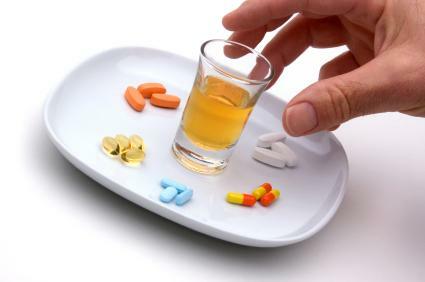 The new fad included the mix of prescription narcotics and alcohol, usually what the kids called “booze.” These types of drugs were either illegally or legally obtained; but they were disregarded and abused every time. The student who was on scene said that the people abusing drugs used them as in “melting pot.” They would add all of the prescription narcotics—Oxycontin being the most common or molly—with booze into a gambling game. The students would bet their sobriety on mediocre things and view getting “faded” as the ultimate win in this game. There was a scenario where the student on scene described having seen a student “face down on the pavement,” but the student who was face down was on his way to class. This was an apparent black out moment. I’ve personally witnessed this on days that include event drinking. Event drinking is when you specifically drink for a certain occasion—e.g. St. Patrick’s Day, Welcome Weekend, Rival Football Tailgates. There would be ambulances outside the dormitory entrance waiting on someone left behind by their friends, completely unconscious and incapacitated. The student wouldn’t be left with vomit on their shirt and an odor coming from the other end. There was a conscious effort to get completely unconscious. Just 9 months earlier I attended an orientation on the warning signs of alcohol poisoning. There was scenarios constructed by the Campus and local P.D. but it was clear that the social criterion of “citizenship” was not, and is still not, met. Social justice surely wasn’t fulfilled, as there always seemed to be an event. Man, the weekend was an event to people in college! There is also the new fad of electronic cigarettes which contributes to the “success of Russian Roulette.” These E-Cigs come in modified form, and people end up paying upwards of $250 for a specialized one. The participant in the qualitative study claimed that there were students putting “dabs” (approx. 90% concentrate THC A.K.A “WAX”) on these E-Cigs and getting away with “blowing”/smoking/getting faded in class. They do advertise these E-Cigs as being an “Adult,” but I don’t see the correlation, all I see is a new fad (Russian roulette) and a growing nation of addicted youth. But, there is hope. There is hope.